Here at NWM we have a certain mistrust of negóciant wines, preferring to deal with the women and men who actually grow the grapes and make the wine. When your negóciant is Jean-Louis Chave, however, current banner-bearer for one of the foremost wine families in France, and farms over half the grapes himself (buying the rest from trusted small domaines), the suspicions are greatly allayed. When you taste it, there’s no doubt at all. The Northern Rhône is to Syrah what Burgundy is to Pinot Noir: a small region in which the grape reaches a greatness seen nowhere else; not surprisingly, it is one of our favorite regions. 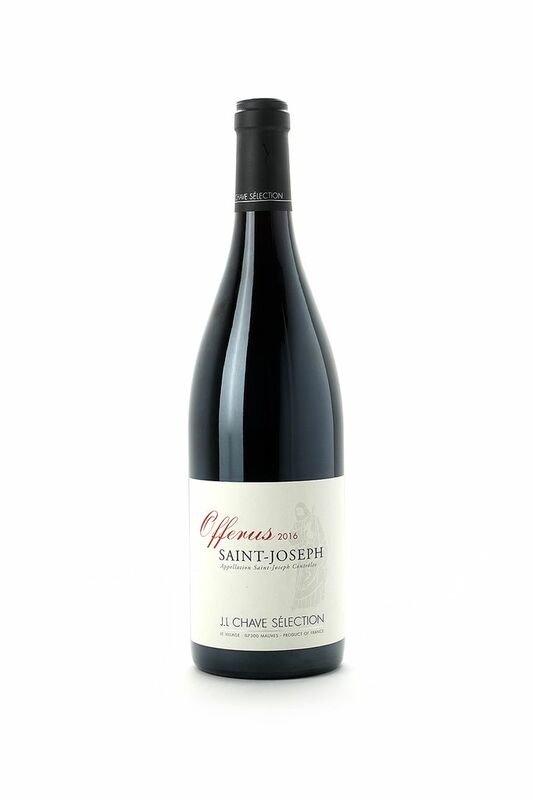 The price of its best wines is stratospheric, which makes this St-Joseph all the more intriguing. A wine of classic proportions, it balances fruit, tannin, acidity, and savory herbal and meaty flavors into a perfect whole that resists analysis, but we’ll try. Aromatic, with red and purple fruit, savoriness, and a smoothness of aroma (is that possible? ), it sports a palate of red cherries and raspberries up front, darkening to plum and black cherry towards the back, nestled in savory herbs and notes of meat and bacon fat carried on the silkiest tannins imaginable.